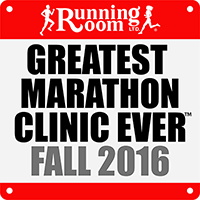 Check here for all the results from the Cambie Running Room Fall 2016 Marathon Clinic. Greg and I had a lot of fun leading the fall marathon clinic at the Cambie Running Room in the latest iteration of the Greatest Marathon Clinic Ever™. Here’s how everyone did in Chicago, Kelowna, Portland, Victoria, NYC, Seattle, Sacramento and Honolulu.